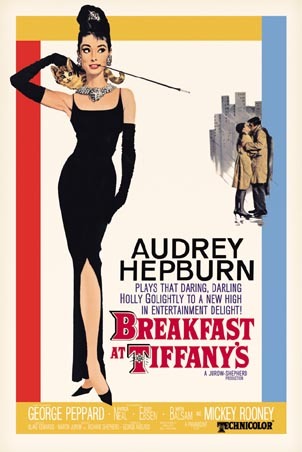 Si existe una película que se ha convertido en un icono de la historia del cine por su glamour y estilo, esa es sin duda Desayuno con Diamantes (1961). 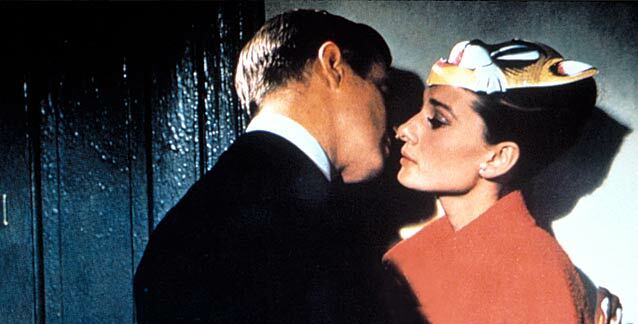 Protagonizada por Audrey Hepburn (Holly Holigthly) y George Peppard (Paul Varjak) y dirigida por Blake Edwards, la película narra la historia de una prostituta de lujo que huye del vacío de su vida rodeándose de lujos, fiestas y placeres superficiales. 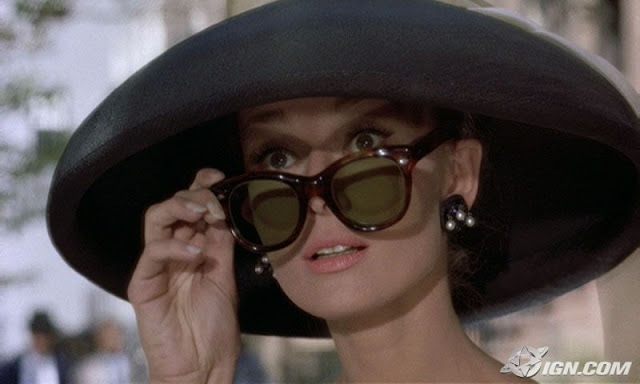 Para conseguir que la delicada y dulce Audrey protagonizase un papel como ese el guión se tuvo que suavizar bastante. En la gran pantalla su “profesión” se intuye pero no se deja entrever claramente, al contrario de lo que sucede con su compañero de reparto (el amante de un mujer madura y rica que paga por su compañía). 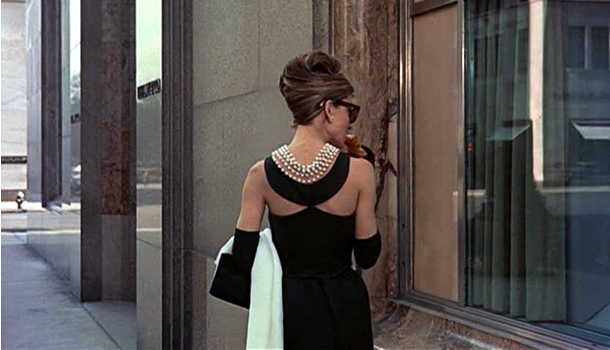 En cuanto al vestuario, gracias al “romance” surgido tras rodar Sabrina (1954), Givenchy creó que para Audrey una serie de modelos que se han convertido en clásicos de la historia de la moda: vestidos negros, grandes pamelas, gafas de sol oversized… ¡y un antifaz para dormir que se ha convertido en un icono! ¿Habéis visto la película? ¿Qué os parece? 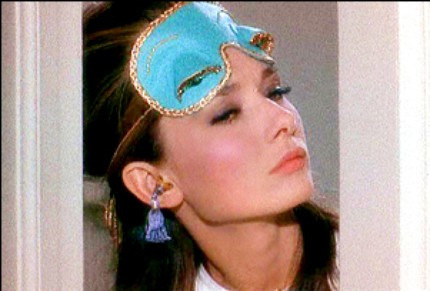 If there’s a film that has become an icon in the cinema history is Breakfast at Tiffany’s (1961). 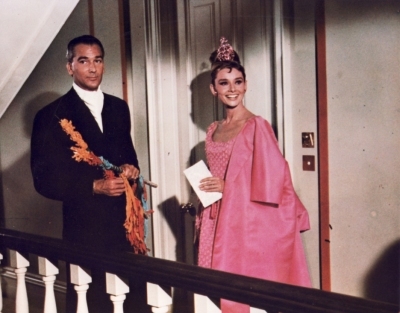 Starred by Audrey Hepburn (Holly Holightly) and George Peppard (Paul Varjak) and directed by Blake Edwards, the films explains the history of a call girl that runs away from the emptiness of her life, surrounding herself of luxuries, parties and other superficial pleasures. 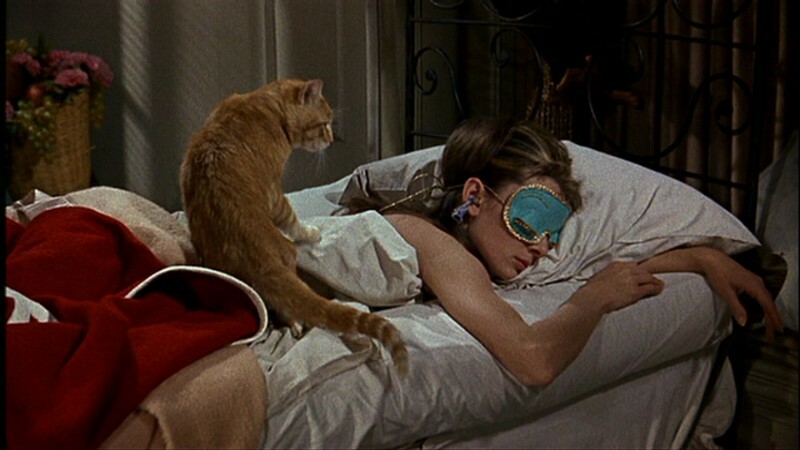 Concerning the wardrobe, thanks to the romance arisen after the filming of Sabrina (1954), Givenchy designed for her pieces that have become icons in the Fashion history: LBD, big hats, oversized sunglasses… and a funny sleep mask that is unique in its genre! 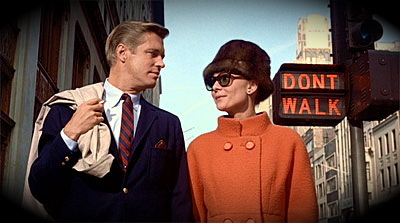 Paul to Holly: “You know what's wrong with you, Miss whoever-you-are? You're chicken. You've got no guts. You're afraid to stick out your chin and say, 'Okay. Life's a fact. People do fall in love. People do belong to each other.' Because that's the only chance anybody's got for real happiness. You call yourself a free spirit, a wild thing, and you're terrified somebody's gonna stick you in a cage. Well Baby, you're already in that cage -- you built it yourself. And it's not bounded on the west by Tulip, Texas or on the east by Somaliland. It's wherever you go. Because no matter where you run, you just end up running into yourself." 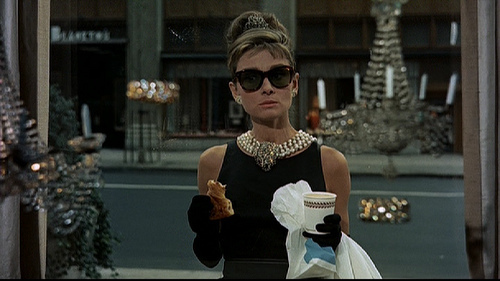 I love this film, <3 and I really love audrey Hepburn, so chic, so elegant!!! Come back soon, I'll be waiting for you! !